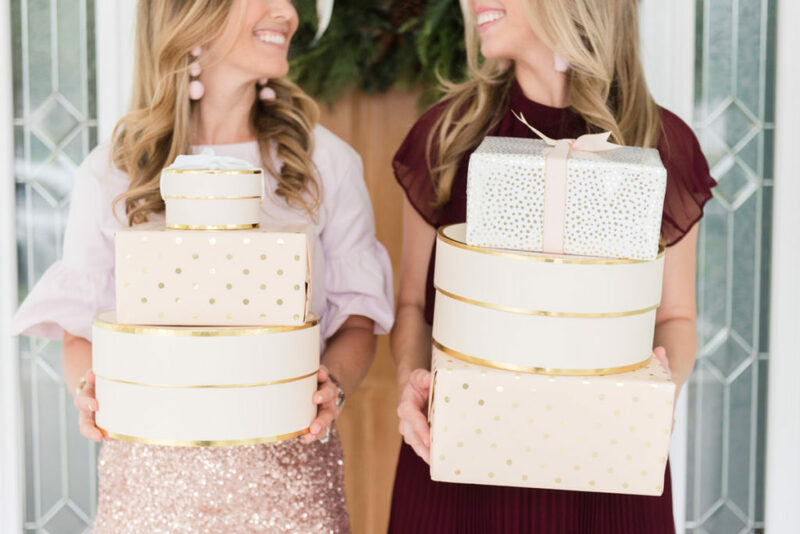 We know that shopping for the perfect holiday gifts can be both fun and stressful, especially as the holidays get closer and your to-do list gets longer. 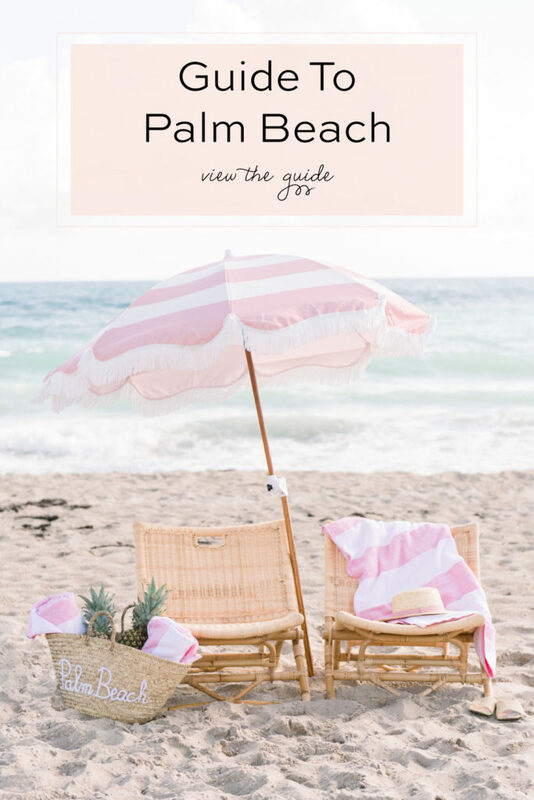 To help take the sweat out of the hunt, we have put together our 2016 Holiday Gift Guide full of Palm Beachy gifts that are sure to be big hits. 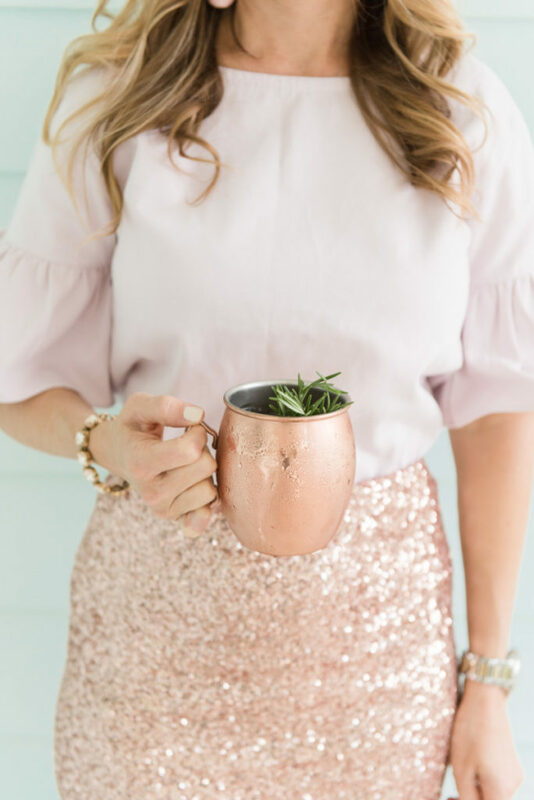 Our signature Palm Beach Lately style can be found in all of our picks, and you will see that we have a thing for blush, rose gold, copper and brass lately. These elements are festive, glam and so classy – a great combo for making someone feel special! 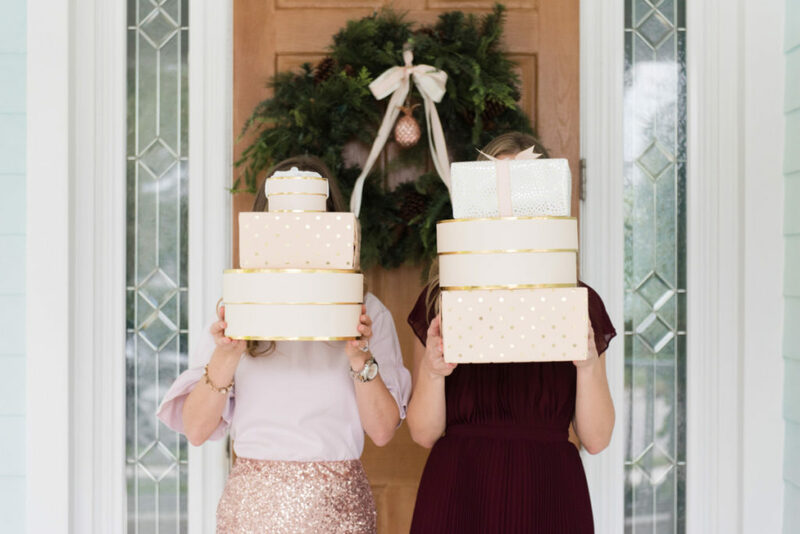 Today we are sharing half of our gift list <the other half is coming later this week!>, so let’s get right to it and get some of that holiday shopping checked off your list! 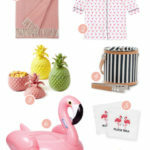 If you’re like us and pineapples are your thing, Anthropologie has several great pineapple gift ideas for you this year. Our favorite one is this chic pineapple candle that doubles as decor… and you can’t beat the $30 price point! 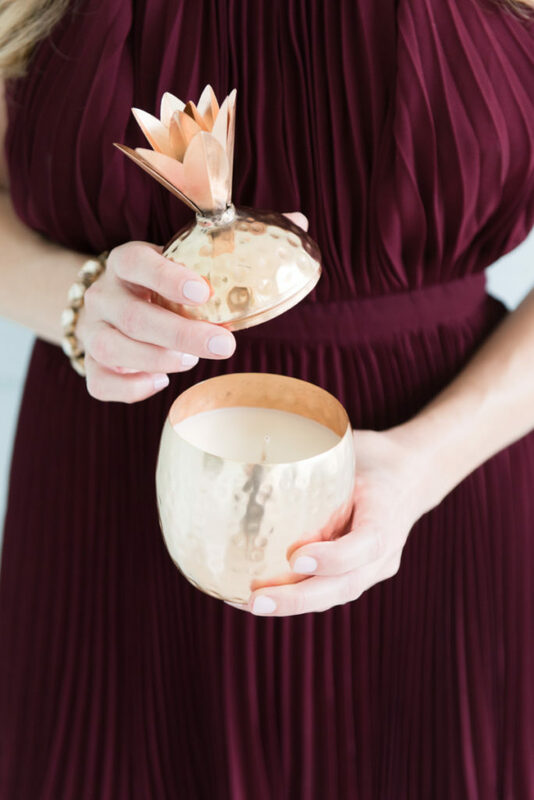 We also love their brass pineapple measuring cups, pineapple pencil holder and pineapple shaped marble and acacia cheese board <for their full pineapple collection, click here>. 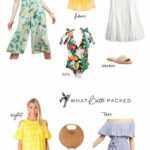 Bravo, Anthro, you totally get us! 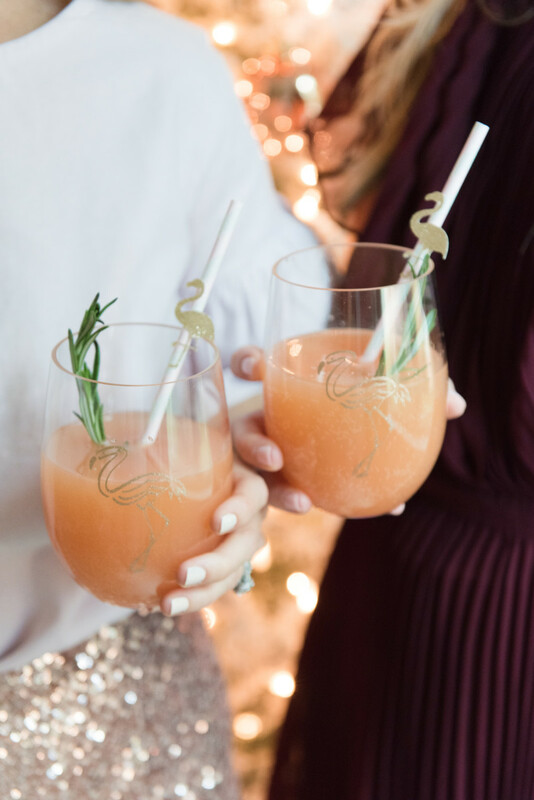 Our Palm Beach Lately “You’ve Been Flocked” Cocktail Kit is the perfectly packaged postal party for two that includes two flamingo acrylic stemless wine glasses, two flamingo linen cocktail napkins, 2 pink striped straws with gold flamingos and our signature cocktail recipe card. 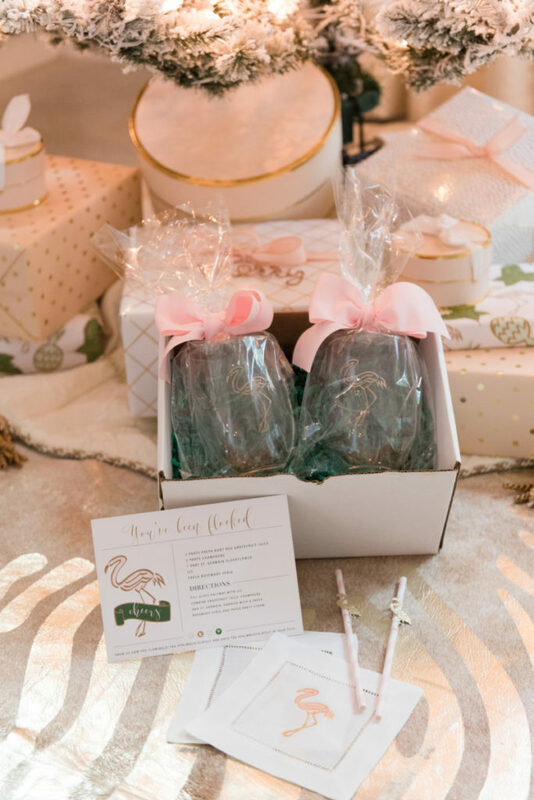 Your bestie near or far will be so happy to get flocked by you! 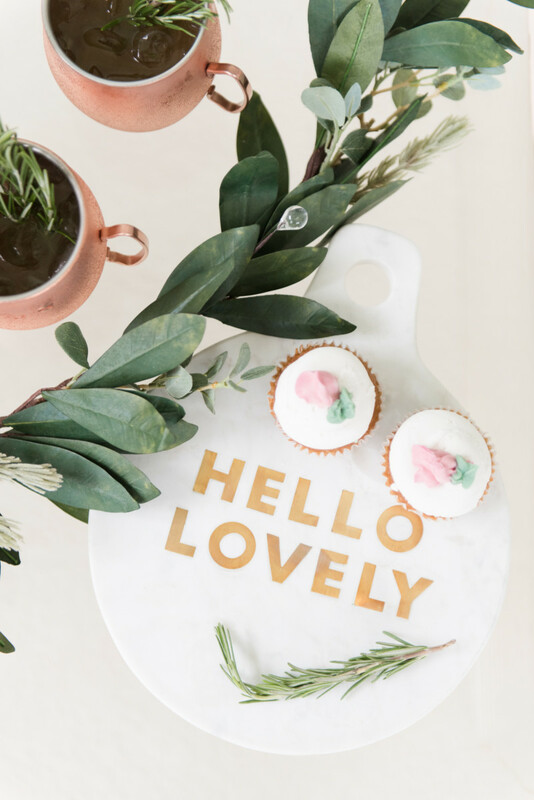 We looove pretty marble cheese boards and this one is especially beautiful thanks to the brass letters that spell out “hello lovely”. The round marble board is the ideal size to serve an appetizer or dessert on, and bonus alert: it also looks darling on your kitchen counter when styled next to cookbooks and utensils! 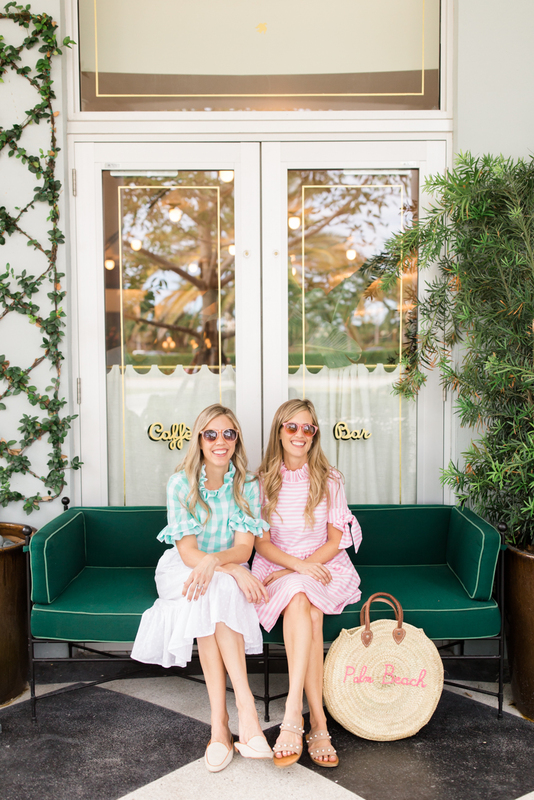 Since rain boots tend to be our favorite boots down here in the south, these blush boot bows by PoppyClips are a huge hit among our girlfriends! 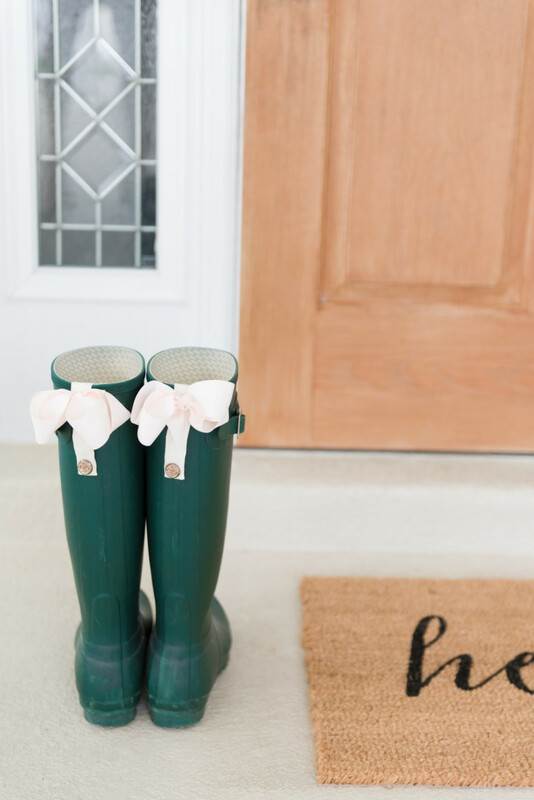 They turn plain ole rain boots into a fashion statement that can be easily changed and updated thanks to many different bow colors. At just $24/each, these cute bows make a unique stocking stuffer that any Florida <or other rain boot loving> gal would love! 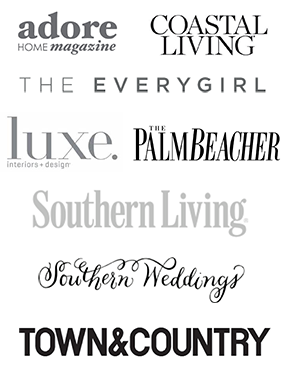 We recently spotted fellow Florida company Fox and Clover on social media and instantly fell in love! They have the coolest doormats for $38/each, like this one that says “hello”, this one that says “it’s always happy hour up in here” and this one that says “bring me pizza and peonies”. You can also create a custom doormat for $45! 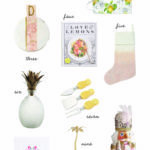 If doormats aren’t your thing, they have awesome coffee mugs that we have been eyeing, too!